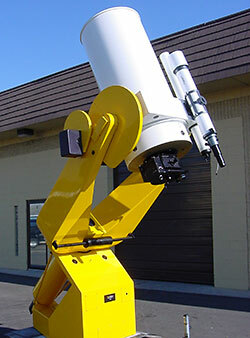 The 24" Schmidt Cassegrain telescope at DFM Engineering is a superior astronomical research instrument machined for precise accuracy. 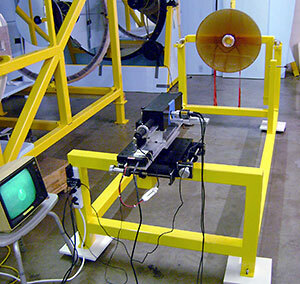 The optical tube assembly (OTA) of the telescope is a primary component and a critical factor in providing agility and precision of the ATLAS while maintaining superb image quality. The ATLAS optical system provides an image of objects at infinity over the temperature range between -5° and +25°C. The custom control system created by DFM provides convenient remote access and control of the ATLAS optical tube assembly. The camera attached to the ATLAS is a 100 megapixel resolution modified Schmidt Camera. It has a custom Schmidt corrector at the focal plane. While astigmatism remains present in the camera, it conveniently combines with the mirror curvature to result in a flat best image surface. This custom optical configuration is achieved by adding a (3) element all spherical surface field corrector. Therefore, the primary mirror of the ATLAS is designed to be speherical resulting in optimal image quality. The DFM Optics shop performs grinding, polishing, and testing of the mirrors to control impeccable quality standards and delivery time. The expertise of the optics shop is in polishing 1.3-m telescope primary mirrors. Therefore, the procedures are well established for quality, consistency and timliness. The optics shop concentrates on fast, highly aspheric primary mirrors for the wide field telescopes. 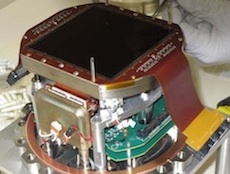 The ALTAS Wright camera requirement calls for a custom, spherical primary mirror in the Optical Tube Assembly. 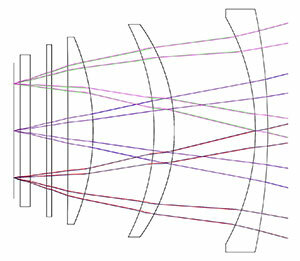 Field corrector lenses and Cassegrain secondary mirrors for the ATLAS are sometimes produced by contracted associates. Accurate tracking is difficult without a proper mount. That's why at DFM, extreme care is taken in the construction of the equatorial fork mount. It delivers the stiffness necessary to provide ZERO BACKLASH performance. The 30 in. diameter friction drive in RA and a 28 in. 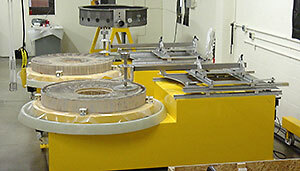 diameter friction drive in DEC contribute to the stiffness that helps promote smooth tracking and excellent accuracy. 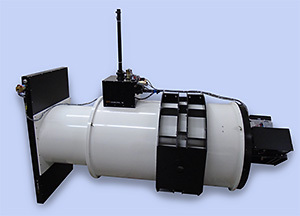 For more information about the ATLAS Optical Tube Assembly (asteroid tracker) project and how to order an instrument for your institution, contact DFM Engineering.